On Tuesdays they offer buy one get one free wings for anyone on their email list, which is good because I was eager to try out a couple flavors. Having heard their hot wings were crazy hot, I only ordered their medium-hot, then to mix things up I also ordered a combo of their Cajun and Honey Butter BBQ. 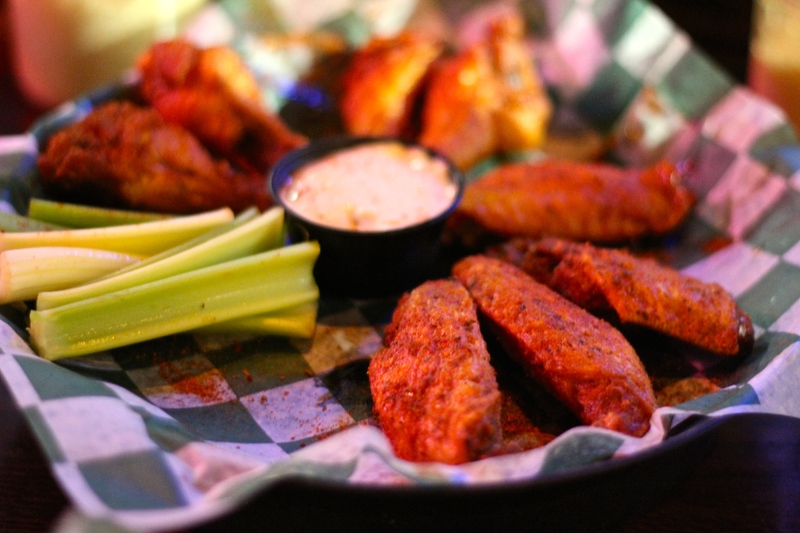 The best part is that at Bar Bill (and presumably all other Western New York wingeries) the wings all come with blue cheese dressing (homemade) and I am not given the choice between that and its inferior cousin called ranch. On the other hand, Bar Bill falls into the all-too-common issue that pervades wings everywhere. This, of course, is the addition of celery, which goes unmentioned in the menu and undesired in my stomach. But, as always, celery can be easily avoided and doesn’t have a negative impact on the taste of the wings, only on my perception. 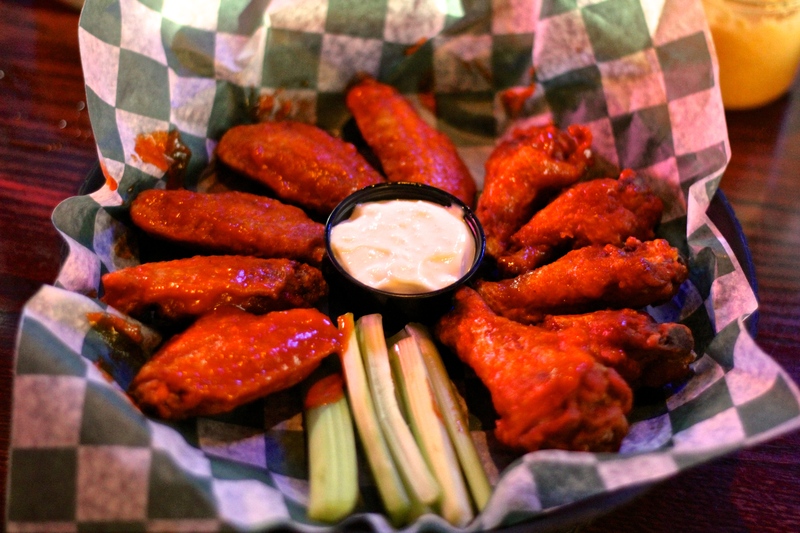 As for the wings themselves, let’s first get into the medium-hot, which were unquestionably a spicy choice, but not nearly as spicy as I had been led to believe. This is not a complaint, because I only like spice if there is enough flavor to go with it, but merely a comment to be followed by my declaration that I will try regular hot when I next venture out to Bar Bill. The Cajun Honey Butter BBQ was a wise choice to go along with the medium-hot, but would have been even better if it had been hot. 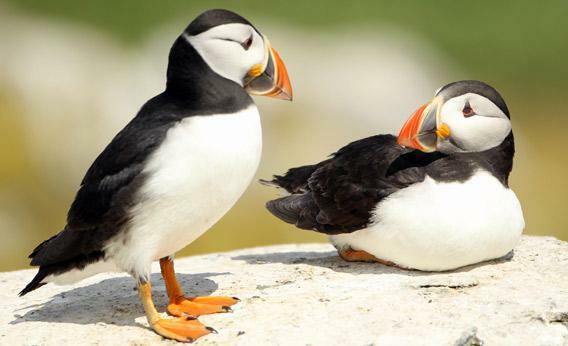 I say this because as much as I liked them, I wanted them as more of a buffer for the heat that never came. Nonetheless, they had a unique flavor and texture almost like that of peanut butter. It may sound like an unwelcome texture, but it worked spectacularly. It’s getting a little Cajun in here. I also got the opportunity to try out their regular Cajun, which was a nice rub and also not too spicy. I wouldn’t have preferred it for myself because I’m just more of a sauce guy. 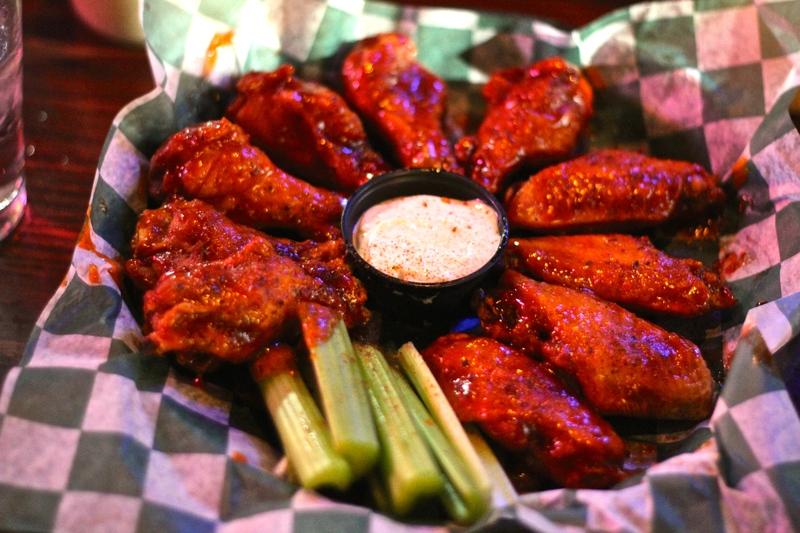 As for general impressions of the wings, I really liked their size and that they were tender and moist. Plus, the sauced up wings had a nice crisp to them as well. For my first foray into “chicken wings,” Bar Bill has set the bar pretty damn high. 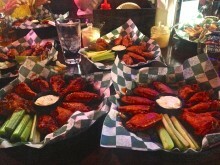 I plan on eating my way through Buffalo’s wings and can’t wait to see what else Western New York has to offer.